It’s been quite a while since we saw a talented group of ladies on afternoon TV. 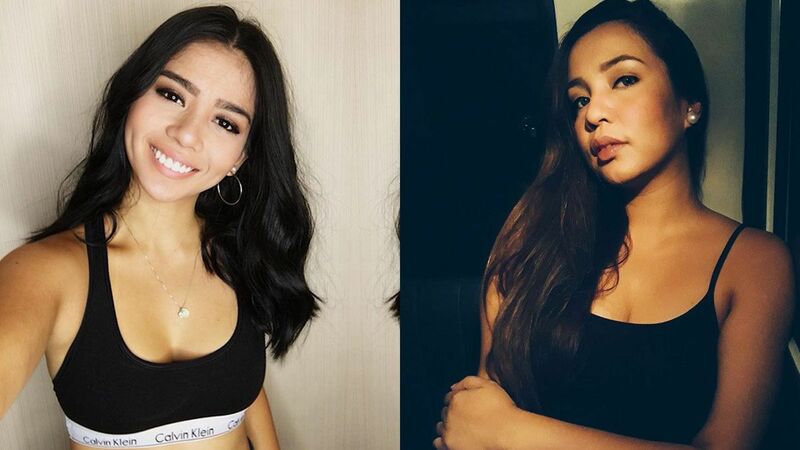 After two of the biggest dance girl groups in the country, the SexBomb dancers and EB Babes, left Eat Bulaga, it was hard to find a set of ladies able to match their impact on the industry. Others tried, but sadly, they didn’t last long. But in 2016, ABS-CBN's It’s Showtime took a gamble and introduced a new batch of girls to fans, and they were called GirlTrends. Mainly comprised of newcomers, the group was able to build a steady following. And after two years—with some original members gone, and new members in—the afternoon dance girl group is stronger than ever. They have all seen their fair share of success both as a group and individually. We won’t be surprised if by the end of this year, these talented women will show more of what they got—whether in dancing, hosting, or even acting. So before that happens, let’s get to know them better here. Chienna started making a name for herself when she was a cosplayer during her younger years. Now, at the age of 21, she’s a popular Instagram star, endorser, dancer, and an actress. The former FHM cover girl was first discovered when she joined the civilian edition of Pinoy Big Brother: 737, last 2015. She placed fourth during the finale night, and garnered 7.79 percent of the total votes. Before being a housemate, the 29-year-old actress was a member of the Hotlegs Dance Company. Aside from hosting and dancing, Star Magic artist Erin is also into cooking. The 22-year-old actress is a graduate of Center for Culinary Arts, Manila. Prior to GirlTrends, Jessica focused on her goal of becoming a beauty queen. She joined Miss Philippines USA 2012 and Binibining Pilipinas USA 2013 when she was still living in Los Angeles, California. She came back to the Philippines to try her luck in Pinoy Big Brother: 737. She lasted only 7 days inside the house because she voluntarily exited after receiving news of her grandmother's death. However, the PBB failure didn’t stop her from achieving her beauty queen and showbiz dreams. She was crowned Miss Earth Philippines - Water last 2017, and is an It’s Showtime mainstay. Joana has been dancing since she was still in school. Before officially joining GirlTrends, Joana was part of It’s Showtime’s unnamed group of main dancers. And before that, she was part of University of the East’s cheering squad. Young mom Kamille became an inspiration to fellow mothers when she entered Bahay ni Kuya last 2015. From being the “Teen Mama ng Manila,” now, Kamille is known to be one of GirlTrend’s most popular and inspiring members. Aside from being a dancer, Krissha is also a recording artist—in 2015, she released the album “In Love” under Universal Music Japan. In fact, her first taste of the spotlight was when she competed on the second season of the reality singing competition Little Big Star (2006). She also has several YouTube music covers showing her sweet singing prowess. Before being a GirlTrend, Maika was a professional tennis player. The 22-year-old stunner currently plays the role of Andrea Bermudez, one of Erich Gonzales’ main antagonists on TV show The Blood Sisters. Mica is the niece of Apo Hiking Society's Danny Javier. She started her showbiz career doing TV commercials and modelling gigs, while singing and recording music in between. She’s R&B King’s Jay-R’s long-time girlfriend. Even before being part of Pinoy Big Brother: 737 and It’s Showtime, Mikee was already a familiar face on the Internet—she and boyfriend, Yexel Sebastian (owner of Yexel’s Toy Museum), are known for their dance cover videos and wacky vlogs, which they upload on their YouTube page. She was also an FHM Bionic Babe. Sammie was discovered for her amazing musical.ly videos, which trended on social media two years ago. Currently, the internet sensation has over 500,000 musical.ly fans, and about 500,000 followers on Instagram. In 2016, she was officially casted as part of the original GirlTrends, and the rest, as they say, is history.